My Paper Crafting.com: 2nd Blogaversary Hop Day1 GIVEAWAYS & FREEBIES! 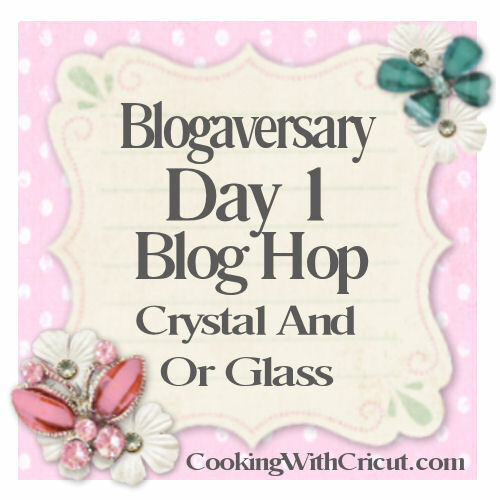 2nd Blogaversary Hop Day1 GIVEAWAYS & FREEBIES! We are so excited to share this time with you! Today we are kicking off our Blog’s 2nd Anniversary with a two day hop and a week long celebration! Our hop is two days and each day we will have different designers sharing different projects with you! We have some GREAT Blog Candy as well as some daily file and graphic give-aways! So be sure to join us EVERYDAY for the next 7 days! The traditional gifts or elements of a second anniversary are Glass, Crystal or Cloth. So the DT was challenged with making a project that contained these elements or elements that represent them. I made this version using the Cricut Art Philosophy cartridge. If you are interested in the full directions and cutting guide, click the link below. Here are a couple of close up shots. I am trying to show that I used some Glossy Accents on the heart to give them a “glass” appearance. Of course the lace is “fabric” and I used some Clear Dew Drops in the centers of the flowers for some more glass-crystal looks. This is a close up of the banner title made. Here is today’s Blog Hop Line Up! As I was making these layouts I decided to make a kit so one lucky winner could get all the “stuff” to make the kit. You will receive ALL the stuff I used to create the “Cutting File Version” in this kit. NOW FOR THE FREE FOR ALL STUFF! ALL the cutting files I used to create this layout are available in this download. PLUS the PDF and JPG of the “Adorable and Sweet” titles for printing. Simply click the Add to Cart Button and “check out”. It will not cost anything during the FREE offer time, 24hrs. So hurry and grab it while you can! FILES IN AI, DXF, EPS, KNK, MTC, SVG, SCAL2, STUDIO and WPC. Sorry no longer available here. Please visit PaperCraftingWorld.com to purchase. Just click the Add to Cart Button and check out. It will not cost anything during the free offer period. Images are in jpg. Sorry no longer available here. Please visit PaperCraftingWorld.com to purchase. Download the FREE Complete Instructional PDF guide. Sweet Layout Using Cricut Art Philosophy Instructional Guide. Free for a limited time. Sorry no longer available here. Please visit PaperCraftingWorld.com to purchase. 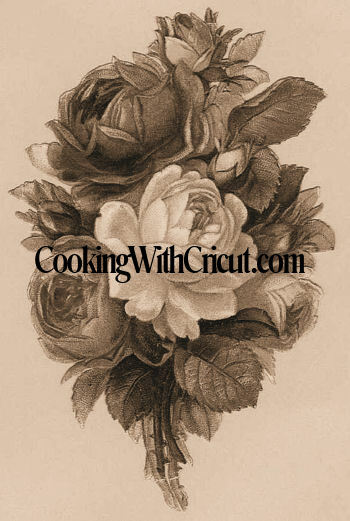 Okay now be sure to head over to Evelyn’s blog to see the wonderful project she has in store for you! Remember if you get lost along the way, just come back here. Thank you so much for stopping by, be sure to come back tomorrow for another great line up of designers with some more fabulous projects...AND some more FREEBIES and blog candy to win! BEAUTIFUL!!!!! This is absolutely adorable, my friend! Thanks so much for the great freebies and for creating such a wonderful community of crafters who have become family to one another. It is a blessing to be a part of your team and an even bigger blessing to call you my friend. Hugs! Melin this is ADORABLE!!! I absolutely LOVE this!! Wishing I had a cutting machine for the cutting files....CUTE!!! 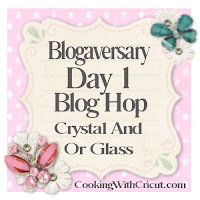 Wonderful day 1 of your 2nd Anniv blog hop. Thanks for the vintage flower freebies. Beautiful LOs. Thanks for the chance to win. Beautiful layouts, Melin! I like how you made them for people who have Cricuts and for people with other cutting machines. Thanks for all the freebies! What a stunningly beautiful but yet soft and vintage layout! Wow! Melin, these are just stunning. What a beautiful way to use the wonderful cuts from AP. I love the colors you selected and the arrangement is delightful. Thanks for the inspiration, being a wonderfully creative leader, and your kind and generous heart. Beautiful, beautiful layout!!! I love how all of the elements compliment each other so well!!! 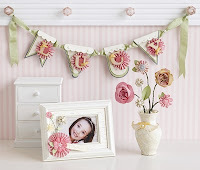 Beautiful layouts...creative ideas- thanks fo the chance to score some blog candy and congrats on your 2nd anniversary! Thanks so much. This is beautiful. What a great contest! Love your bog and thanks for the freebies! Pretty page!! LOVE the colors and the ruffle! Thanks for sharing this fun layout with us! Lovely Melin! This is so exciting, I can't believe the blog hop is here! I am a follower of your blog and I love your project. Great Giveaway ! Congratulations on your 2 year blogaversary ! I am now following you on facebook as well as my newsletter/email. Pretty project today ! Congratulations on your two year mark ! Congratulations - and I'm so glad to have found you and your lovely inspiration! Thank You! Love all your work. It is just awesome!!! Thank you so much for sharing your talents with us. I am a follower of your blog. And thanks for the chance to win. Congrats on your blog birthday. That is wonderful. I am a fan on Facebook and I am a follower on Pinterest. Thanks again for the chance to win. Happy Birthday! Your layout is very pretty. Thanks for the freebies! I've liked you on Facebook also! What fabulous layouts! Love the colors and that lace is fabulous! Happy blog birthday! Thanks for the chance to win! Congrats on your blogaversary! Great projects! ThanK you for responding to my email, I appreciate All the info you shared with me, and sorry it has taken me this long to say thanks!! Congratulations Melin on your 2nd Year Anniversary!!! Thank you so much for the freebies!!! I love this layout Thank you for the files! Congrats on 2 years!! Thanks for the files. Congrats on 2 years. Thanks for the files. You never disappoint!! I love your work so much! Thank you for the beautiful file! Can't wait to use it. Happy Ann!!!!! Thanks for sharing and putting together the Hop! I just "liked" your facebook page. Actually thought I had done that ages ago. What an adorable layout. Love the hearts and lace!! Happy Anniversary!! Great layouts and great gifts. I wanna win, pick me!!! Hey! Congrats on your blogaversary!! So great of you to have all these freebies. Thank you! And thanks for including svgs. Love the layout, Melin. Thanks for sharing. Congratulations on your 2nd Birthday. It is always so much fun to celebrate. I love your files so am so glad you have had another successful year. I have Liked you on FB and signed up to follow your blog. This is so much fun! Thank you also for e FREEBIES! Loved everythingThanks for the chance to win. I'm a new follower. Beautiful layout, thanks for sharing it. Congratulations on your anniversary. What an adorable layout. Love the green and pink and the banner is too cute! You are so generous to share this with everyone. Can't wait to try it out for the grandbabies. Love the roses too. Thanks for the goodies and the layout cut info. Melin, This is soooo beautiful! It's such an honor to be on your team! You are so talented! Happy 2nd BlogAversary ! Great layout, THANKS for the free files. Happy happy anniversary!!! Thank you soooooo much for the wonderful goodies and for sharing such creativeness! Happy Anniversary! Thankyou for the gorgeous layout freebie! Thank you so much for the files. (I am a new follower.) Congrats on the 2 years! Your pages are just beautiful! thanks for the chance to win and your LO is amazing!! I love the layouts, they are so sweet. This is so a surprise! Thank you very much. Love the LO and thank you for the instructions! Congratulations on your anniversary! The layout is gorgeous. Thanks for the freebies and giveaway goodies! Love the files, Thank you!! This layout is just so sweet! I love it! Congrats on your blogaversary! I am a long time follower. Great layout! Thanks for sharing the file!! Congratulations on your anniversary! You really have created a beautiful layout. Just found yourn site and am definately becoming follower. I also thank you for the wonderful file!!! your layout is fantastic, I have the cartridge and I am going to try something like it. Thank you for the awesome freebies and the opportunity to win all the great candy! AND...congratulations! I have been a follower and I have "Liked" your Facebook page! Love the free stuff especially the die cuts. Would love a chance to score one of those great prizes. Thank you! I am going to make several anniversary cards with this set!!! Perfect! Thanks for sharing. Wow! Very nice LO! Thanks so much for sharing it and the files to cut it!!! Adorable projects- thanks for the free files. The hop has been amazing. Thanks for the blog hop. It is quite fun! Happy Anniversary. I love your files and thanks for sharing the full LO; maybe I will get some done this way! Whar a beaurtiful layout, thanks for sharing. I just found your blog through another blog & love what I see! Liked you on Facebook, joined your site. You've got some great stuff here to explore. There goes my morning...Lol! Thank for sharing & having great giveaways. No terrible “two’s” for you, wonderful card! Thank You for sharing! Super cute layouts thanks for the chance to win. Beautiful work! Congrats on the anniversary. Thanks for the chance to win! I love the free file and am bummed I missed out on it. :( Hopefully I'll catch the next one! I just became a FB fan too! 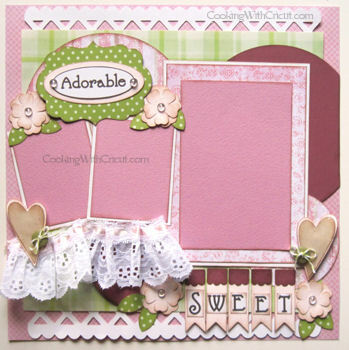 great layout, love all the girly pink!! Beautiful layout! TFS. I signed up to receive your newsletter but I'm not sure if it went through. Hope to start getting them real soon. Now following on FB. Wonderful inspiration and I'm going to be hopping through. Its so girly I love it! Stunning as always. I didn't get here in time for the freebies, sick as always but I did want to stop bye and say happy bloganniversary. Two years of amazing project and fun. Thanks for sharing your awesome talent and heres to the next year of inspiration! Yeah for your Blogaversary! I've been a follower for a while so glad I can support you on your anniversary! Very sweet layouts! Thank you for the inspiration. Thank you for the opportunity to win such awesome candy! I Love the beautiful and elegant design you have created in this project. Such an amazing eye for detail! I love this page. So Sweet! Very pretty layout. I love the Close to My Heart Art Philosophy cartridge. It is my go to cart lately. This is really great!!! Congrats on your Anniversary. Oh so pretty layout! Love all the little details right down to the dew drops!! TFS! !